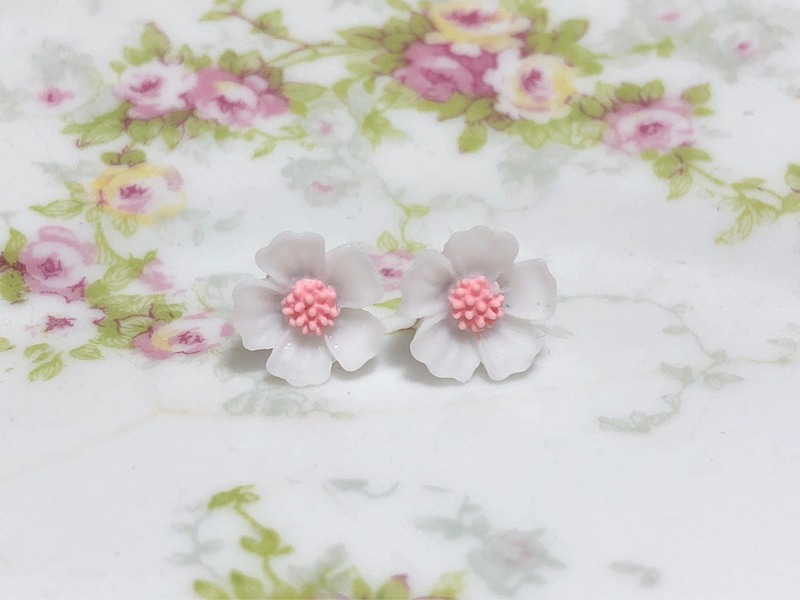 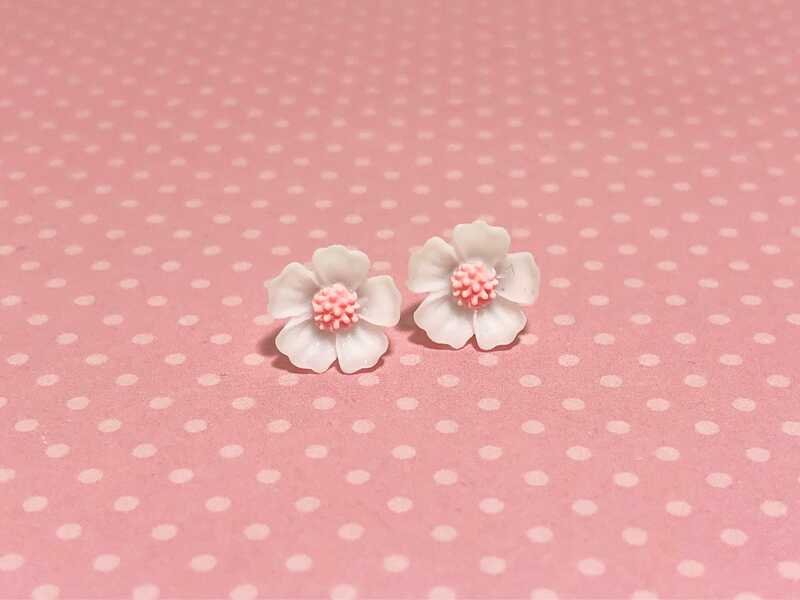 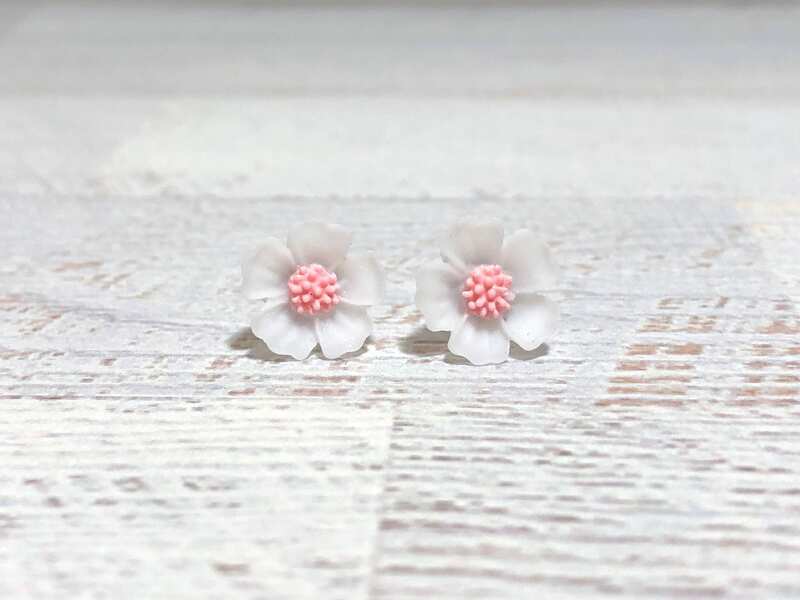 These sakura flowers with white petals and pink center make the most gorgeous stud earrings. 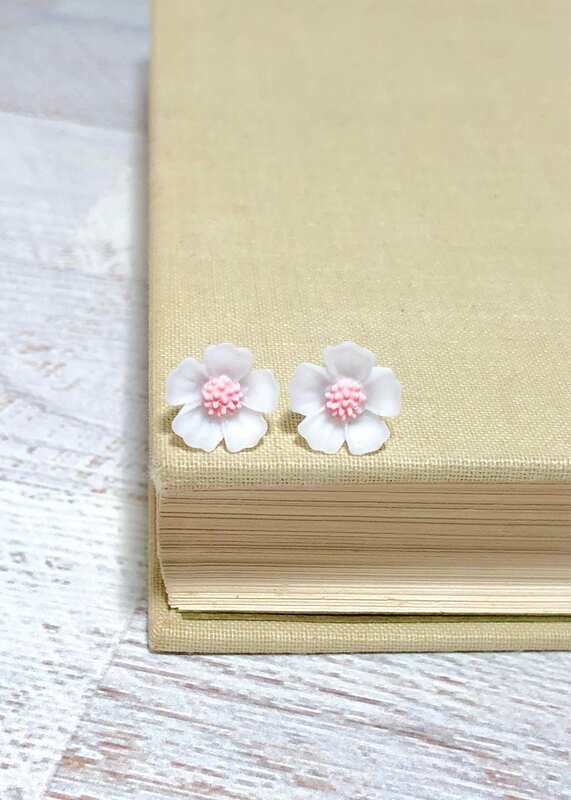 I have finished them with surgical steel posts. 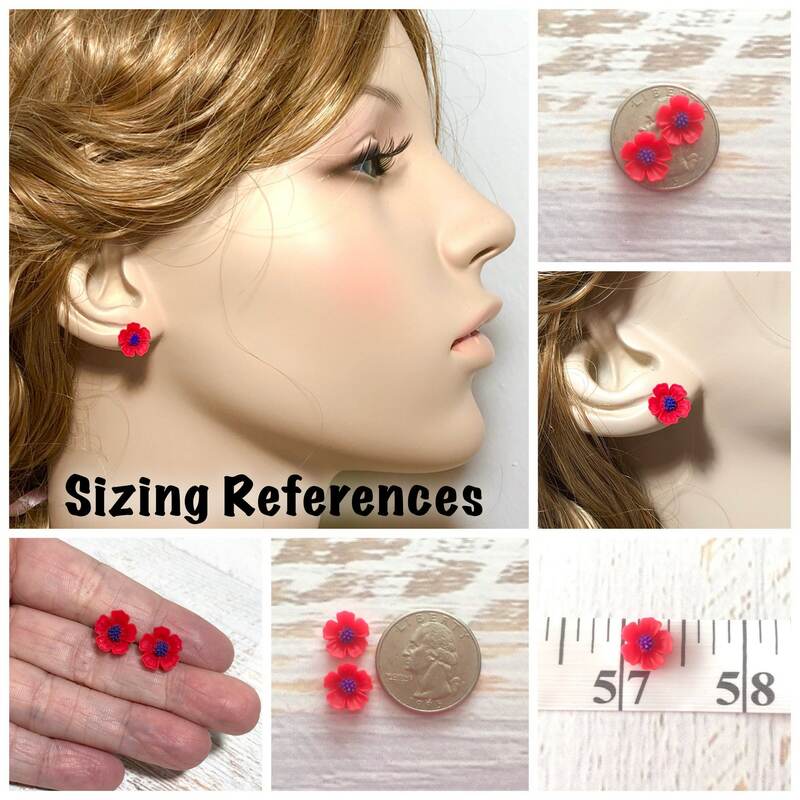 They measure about 10mm (0.4 inches) in diameter. 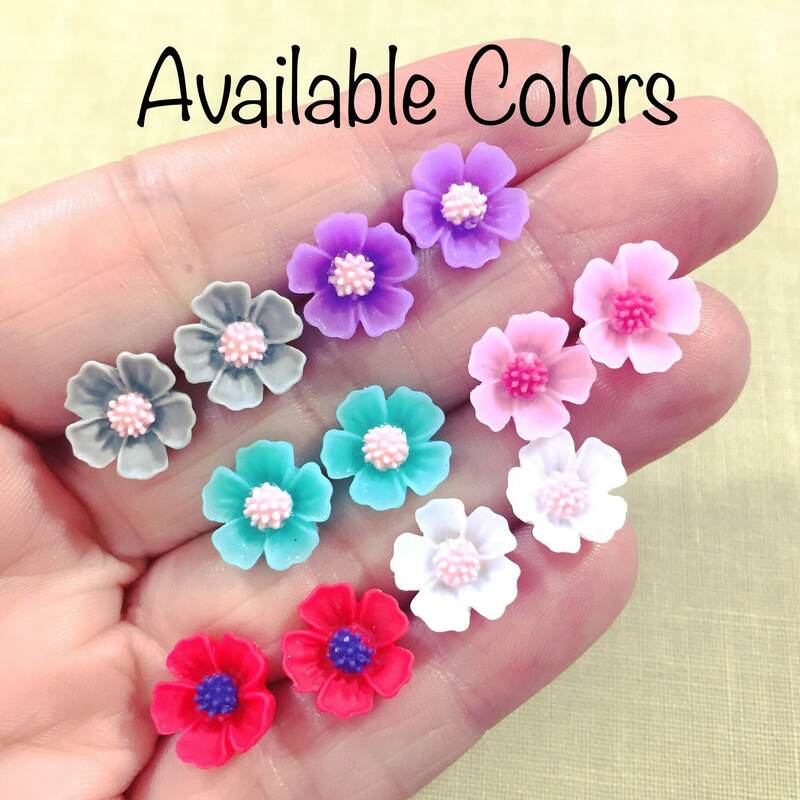 I have this style flower available in several colors, please see the last photo & search my shop for your favorite.